Hindu Squats Benefits - Eat for Abs, Squat for Glory! 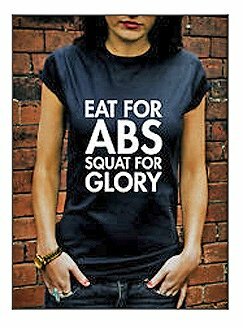 "Hindu Squats Benefits - Eat for Abs, Squat for Glory!" Discover why hindu squats benefits are your glory road to peak condition. Most people arrive at hindu squats expecting the exercise to be easy. After all, where is the heavy barbell mashing into your back and turning your legs to quivering jelly? However, this expectation is soon reversed, following the first time you complete 50 or more repetitions. But what makes this exercise so challenging and why are hindu squats your road to peak condition and glory? Well, just about everybody knows how squats are the King of Exercises. This proud honor is earned through the exercise's ability to work the body's largest muscle groups both vigorously and efficiently - and in the briefest possible time. Indeed, it might be argued, that it matters little HOW squats are performed... what is vital, is that this monster move takes its rightful place in your muscle building armory. This is why, "Fail to Squat, and You Fail to Grow," is more than a catchy mantra. Fail to squat, and you ALSO fail to build real strength, or fail to develop endurance - ALL critical components of a fitness and muscle building program. So squatting is important? Hell-yeah! And how about hindu squats? Let me just say this: If you are looking to build aerobic endurance; increase metabolism; lose body fat AND forge the brute strength to go with it, then this exercise is your number one road to rock the squat. Hindu squats work in the same way as regular squats only with one important distinction: this squat variant is mainly aerobic. That means this special squat can be employed over a greater period of time when compared to its traditional, weighted barbell cousin. A closer comparison can be found with deep breathing squats or 20 rep squats. 'The breath' in both exercises is also linked to the squat, where deliberate deep breathing works the heart and lungs while oxygenating the blood. Well, deep breathing squats have been shown to deliver impressive muscular gains in addition to improved health and superior aerobic endurance - two key hindu squats benefits! Improved relaxation - hindu squats are the perfect stress-buster! So are you ready to rock this special squat and give them a try? As you may already know, this fabled exercise originated in ancient India and was one of the basic exercises that all Indian wrestlers performed to gain great strength and endurance. One of the most famous of these wrestlers was Ghulum Mohammed, otherwise known as the Great Gama. The great Gama was famous for his leg workout routine of performing 500 Hindu Squats a day to stay in peak condition - becoming the Indian National Champion in 1909 and retiring undefeated after participating in over 5,000 matches. You will be relieved to hear your program won't require 500 squats a day. Perform 40 - 60 repetitions every other day. All repetitions should be carried out at a steady, continuous and unhurried pace. Finish your set of 60 with a steady jog on the spot for a minute or so to gradually recover. Do you like the idea of peak condition, but you don't like the idea of being chained to your gym "forever"? Then performing hindu squats is the best and most time-friendly solution for you! Latest tips and news stories delivered direct to your inbox.